Disappointed to be missing today's recovery of Hurricane P3966 from the Thames Estuary mud! Look out for ITV and Sky news over the weekend for more information. 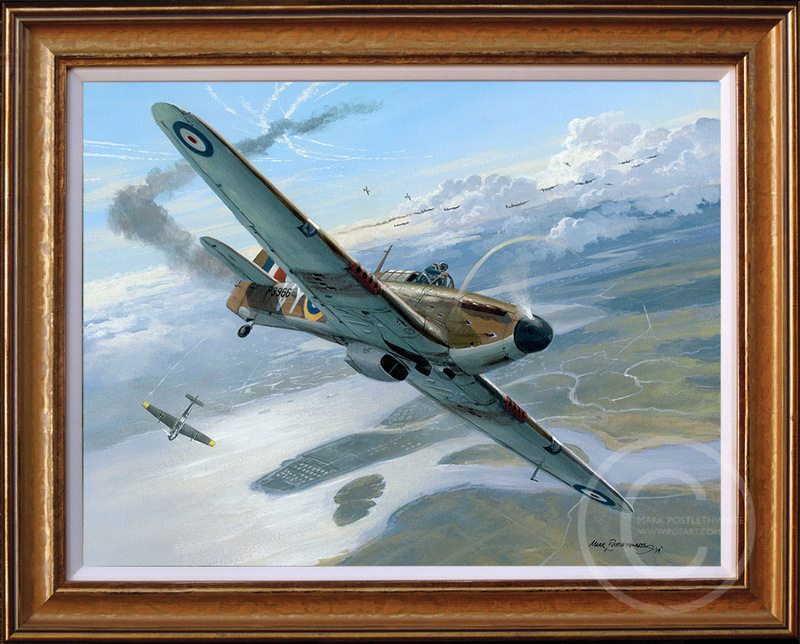 It was shot down on 26 August 1940 over the Thames Estuary with John Hemingway aboard, one of the last surviving members of The Few. I painted this to illustrate the story for the recovery team. The original 15" x 12" is now available, CLICK HERE for more details.